While I’m no longer focused on general social media (you can read more about why here), I still offer tons of resources - like content planning and blog marketing, plus other tools to make entrepreneurship easier. FEELING STUCK WITH YOUR SOCIAL MEDIA + DIGITAL MARKETING? The BEST place to start is by having a framework for your content planning! Content Planning for Rockstar Solopreneurs is a 4-part video series that teaches you how to plan out your content and social media in 30-90 day time blocks, with a workbook and free templates. Content Planning for Rockstar Solopreneurs is all bundled up for you in the Free Rockstar Membership inside Pinterest PowerUp. PPU is a membership community for online entrepreneurs and the only Pinterest marketing resource you will ever need for your business! 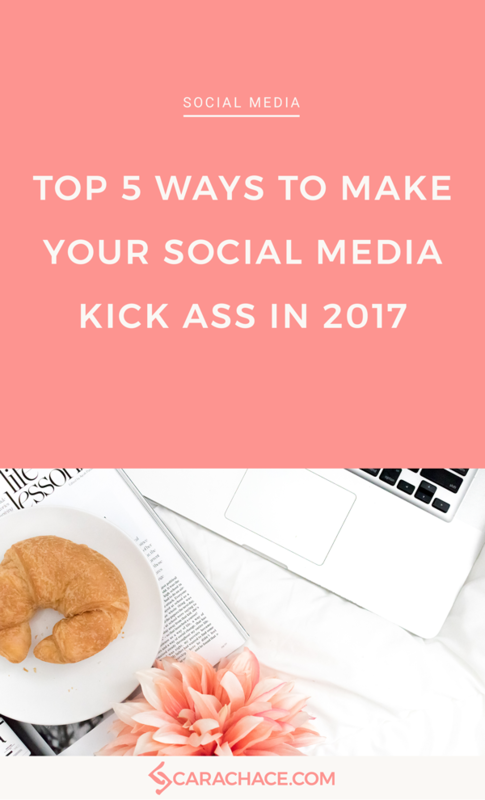 It’s halfway through January, and chances are you’ve found yourself sitting at your desk in the last few weeks lamenting that you still don’t have a social media strategy for 2017. You are not alone, Boss. Having a plan to use social media well (meaning it makes a measurable difference in your business) can be intimidating and overwhelming. How do you do things differently than the salesy skeezy small businesses that half asses it and just post offers? I want nothing more than for you to have that “light bulb” moment - the one where you see how your strategy, content planning, and ease of scheduling all come together and work seamlessly. Like many things in business (and life), you’re going to have to put in the work on the front end to make things easier going forward. Don’t worry Rockstar - I got your back. Do you know what your audience wants? There’s no magic secret way to figure this out - all you have to do is ask! » Put up a poll in your favorite Facebook Groups asking members to weigh in on what you’re considering offering, or what their biggest struggles with your area of expertise. » Send an email to your list asking for feedback or linking them to a questionnaire. » When people sign up for your list, make sure your first email to them includes asking for feedback or linking them to a questionnaire. » Solicit feedback from clients about what they loved and what they’d like to see. » Pay attention to your Insights and Analytics. Knowing what content of yours is engaged with the most often will show you what people are interested in and find valuable. The key to staying on top of keeping your social media consistent is planning. *confession time* I am not always the best at this. I have had to experiment with several ways to time block and prioritize in order to get better. The major issue I had was in trying to schedule all my social media for all my accounts at once. It’s just too much! Now I stagger my social media accounts so one week I’m creating content for Instagram, the next is Facebook, etc. Writing down what day I’m doing which platform is also key - it’s so easy to just forget. Actually setting aside the time to do this as a priority is essential. If you want your strategy to be successful, it can’t be what you maybe fit in on your lunch break or if you remember on the weekend. There are lots of easy ways to find your audience and biz besties online. Be open to conversations and be authentic - and you’ll find most people are open to returning your efforts in kind. » Find Facebook Groups for both your peers and your audience. Give more than you get! » Search industry hashtags on Twitter and Instagram. You’ll find people having conversations around your subject matter and build relationships. » Read and comment on industry blogs. Don’t be afraid to engage with industry experts on their social media - lots of them respond! You’ll be able to see what other people are commenting on and interested in, in your field. I can’t say it enough - video is THE content marketing strategy for 2017. Platforms want it and consumers watch it. From streaming webinars to your Facebook Page, to animated explainer videos - there is a kind of video content that will work for you, I promise! Time to get really realz. You own nothing on social media - your accounts exist at the pleasure of those platforms. The purpose of your social media strategy is to 1) build relationships and trust with your audience, 2) provide valuable and interesting information, and 3) drive traffic to your owned properties - namely your website and email list. Your email list is the most powerful tool you have to speak to your audience and potential clients directly - instead of hoping your content gets onto their newsfeed. Having an opt-in strategy (free downloads, worksheets, etc) that you integrate with your social media will fulfill all three purposes of social media. You’ll build your expert status, give your audience something valuable, and add to your list.